Province: Cyrodiil • View topic - Have questions not covered in the FAQ? Post them here. Board index ‹ Public ‹ P:C Public Discussion ‹ Have questions not covered in the FAQ? Post them here. Have questions not covered in the FAQ? Post them here. Re: Have questions not covered in the FAQ? Post them here. 2) If I wanted to look at what you guys have done so far, on your current WIP and semi finalized WIP where would I go? 4) Just from reading the forums (which I have now read almost completely) I have a plethora of ideas answering some of your old topics which did not appear to be resolved. Should I resurrect the topics, or would you prefer new ones? I have been accused of writting walls of text ... this is completely and utterly false! I do post long things, so I use spoiler tags as condensing blocks. Open at your own risk! 4) Tricky. Many topics were lost due to reshuffling of the forum's layout, so what may appear to be an unresolved issue could actually have been finished somewhere else. On the other hand, a lot of older ideas and concepts run the risk of being forgotten due to inactivity. We do have a habit of leaving things unresolved. If you feel like you can contribute something, then by all means feel free. There's no real argument against necroing old threads if the ideas in them are still useful. 2) About unfinished WIPs - you'd probably have to make a showcase and get promoted so that you'll be able to see work in progress. Really, it's unfinished for a good reason and if we made that public to everybody we might as well give weekly updates on the Nexus. 3) ... correct, I guess. Maybe that's because we haven't really released anything final yet, but we could make a section where we link to the Alpha. 4) Definitely resurrect topics if the issues seem unresolved. As Infragris has pointed out, we like to give something a couple words and let it rest after a few days of nobody responding. I suppose a lot of interesting ideas are somewhere out there on the forums and if nobody finds them, they'll be lost inevitably and that would be a bad thing in many ways. I'm new to this whole thing and I have some questions. I'm very confused about where to start. I have no real modding experience, but I really appreciate all the work put into PC up until now. I guess what I'm looking for is some kind of direction someone will point me in because I'd really like to help the project in any way I can. pointed me towards a an area where I could feel I was contributing. I read already that I should showcase work but I don't know in what way I should start and as I said I'm simply confused about everything at this point. thankyou for your question and your interest in the project. There are many things you could possibly do: Exterior cells, interior cells, npcs, dialogue, quests, modelling, writing, etc. Interiors and NPCs are currently the biggest bottlenecks, though, if you want to be of best possible help. When you have created something you think you can show, open a thread in the modder showcase subforum and upload your work. We'll be happy to help you build up your modding skills in the further course. Thank you very much Worsas. When you say Interiors and NPCs are current bottlenecks, what do you mean by NPCs? the names of the npcs? npc dialogue? or actual models? Malcor wrote: When you say Interiors and NPCs are current bottlenecks, what do you mean by NPCs? the names of the npcs? npc dialogue? or actual models? If you create npcs, you will not necessarily model anything. NPCing is about creating characters with the already existing assets, adding them into the gameworld and giving them behaviour, possession and dialogue. As someone who does npcs you will usually populate towns, dungeons and wilderness with npcs and creatures. Interiors and NPCs seem to be what I am most inclined to then. I'll get to grinding through tutorials and come up with a few things to show. Will I need Tribunal installed in order to showcase a quest? My Tribunal is mysteriously missing meshes and I no longer have access to it? Does anyone know why this may have happened, or if I should just go buy another? Malcor wrote: I have another question. Every showcase requires dependency on Morrowind, Tribunal and Bloodmoon, so yes, you will need to get a new copy of it. You can pick up a used Tribunal for a couple bucks. "If one is to understand the arcane arts, one must study all its aspects, not just the dogmatic narrow view of the Mages Guild." Pardon, the link to the FAQ is not working. Cyrodiil will be smoothly converge with Tamriel Rebuild? What is the main quest of the P:C? We can talk with the Emperor? You may show a top view of Cyrodiil like here http://i.imgur.com/ajc6Phj.jpg ? A top view of all tamriel? How will be realized in-game map? 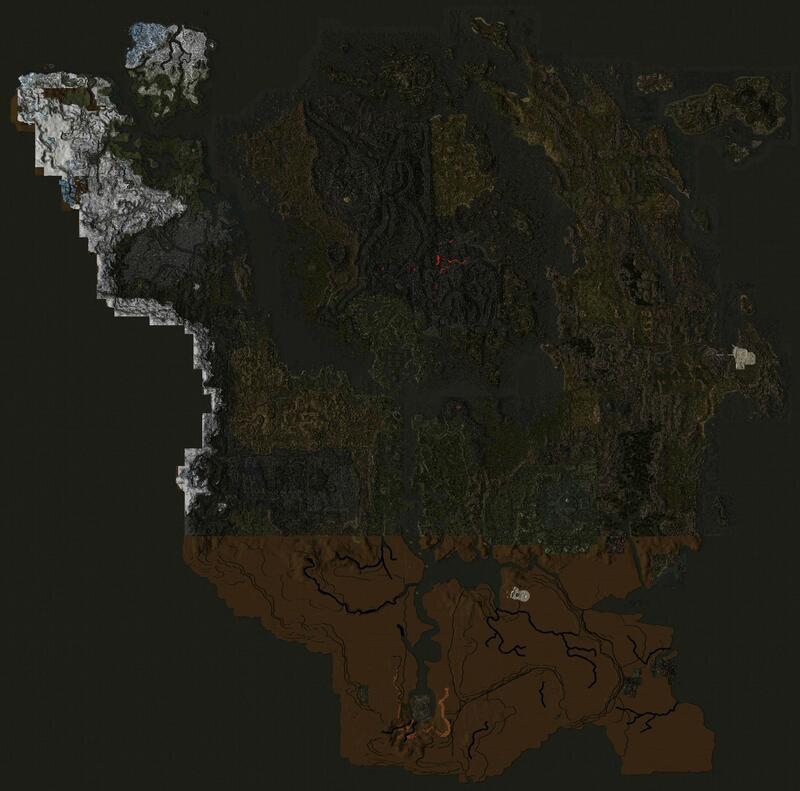 MCP has fix for Tamriel Rebuild, which compresses map, but if squeeze the whole continent it will be very small. Mod created by Lore and it will not be like Oblivion? There have been plenty of ideas. I'm not quite as involved as others in those discussions. It's very far off yet, but you will most likely be able to speak to him, assuming that we'll get as far as making the imperial city. openmw uses a map system that follows the player everywhere. With original mw, you will have to do without the map. We are using pre-Oblivion lore where Cyrodiil is still a jungle in many areas. Furthermore we will deal with the cultural differences between Nibenese and Colovians. These are the two most important differences. There are many more things to speak about when it comes to differences between us and Oblivion. So you need a Patrick Stewart voice. That's good, because Oblivion ... boring. Will be new music? In openmw can be done so that new music will be played only in Cyrodiil? We will see the Caius Cosades? How will be look the imperial guard? As in Morrowind or Oblivion? Or will it be a completely new design? Island between Elsweyer and Black Marsh is part of Cyrodiil? When will be the first release? Excuse me, possible I ask too many questions. We are not far from being able to fully release Stirk. It only still needs npcs and dialogue and possibly quests aswell now (everything else is really 99% done). We need someone who is capable of writing good dialogue and implementing it ingame. That is the last and biggest hurdle at this point. Maybe the other people around here will be prepared to reply to your other questions. Caius Cosades might show up in Cloud Ruler Temple or in the Imperial City. The Imperial Legion will have a couple of new looks: the major cities of Cyrodiil will have their own guards with appropriate uniforms, and other garrisoned units will feature different insignia and colors depending on which Legion force they are part of. These will still be recognizable as Imperial uniforms, but more diversified to give the Legion some variety and internal structure. The island between Elsweyr and Black Marsh appears to be part of Cyrodiil on the latest maps, but we have made no decisions regarding it. It would likely be one of the last areas to feature in the project. Those guys are the Imperial Legion. As I said above, their uniforms will have different insignia and colors depending on where they are stationed. Uniforms will be based on Morrowind's Legion armor. I don't think there are any plans for including Oblivion's medieval plate armor style, as it does not really fit the Roman aesthetic of the Morrowind Imperials. Maybe after talking with the Emperor and Paarthurnax Nerevarine traveled to akvair for some higher purpose?